Lets face it, most of us don't transport large quantities of fish (at least not by the suppliers standpoint). I know the topic of how to transport them gets brought up from time to time and thought this information might be useful to someone trying to figure out how to transport fish. Thanks for those hints.. Some things that I did not know about, but then there is a lot of that anyway..
All pretty basic stuff there Scotty but should come in handy for some as its set out quite clearly and easy to read. A good point to make that even if your using a small aerator whilst transporting fish in an esky or small tank you would be far exceeding the 5mg/L so in most situations your pretty well covered there if you don't have a DO meter or wondering if your supplying enough. 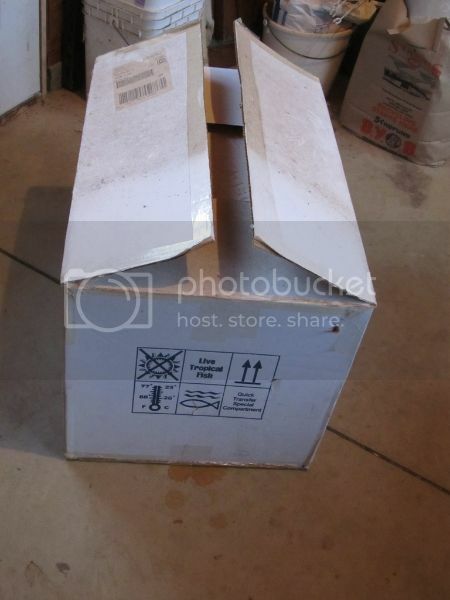 I have extensive experience in the aquarium hobby, and the pictured box is standard in the industry for the transportation of fish and other aquatic life. Larger fish are usually packed in individual bags, often with oxygen. Small fish may be packed with multiples in the same bag. Feeder goldfish often come in one large bag with up to 200 one inch fish in it. I worked for a wholesaler for a while and one of our shipments got lost by the airline for 6 days, all of the fish survived and the hardier corals did too. 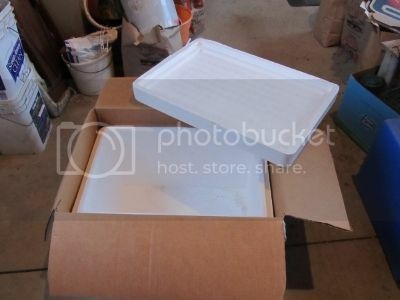 Many aquarium shops will have some of these boxes they will give you, or possibly sell for a small price, and if they don't have them on hand will save them for you if you can pick them up on their delivery day.